Margaret J. Adams, age 92 and longtime Bartlesville, Oklahoma, resident, passed away on Friday. September 7, 2018, in The Journey Home, Bartlesville. 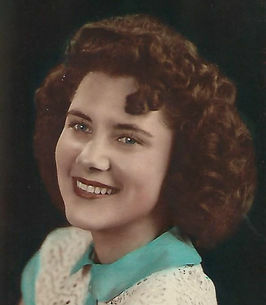 Margaret was born on July 2, 1926 in Bartlesville. She was the daughter of Rufus Darvin Adams and Katherine (Gannon) Adams. She lived her entire life in Bartlesville where she received her education, graduating with her Bartlesville High School class. Margaret was a member of St. John Before the Latin Gate Church, Bartlesville. She had been employed with Southwestern Bell Telephone as a Maintenance Administrator for many years before her retirement. She was a wonderful wife, mother and grandmother and a friend to many. Margaret is survived by her daughters, Jan Montgomery and her husband, John, of Bartlesville and Karen Clements of Dewey; one grandson, Michael Clements; cousin, Jean Rowland; and many, many friends. She was preceded in death by her parents; husband, James Paul VanMeter; and son-in-law, Roger Clements. Come and go visitation will be held on Tuesday from 9:00 AM-7:00 PM in the Arnold Moore & Neekamp Funeral Home, 710 S. Dewey Ave.
To send flowers to the family of Margaret J. Adams (Adams), please visit our Heartfelt Sympathies Store. We encourage you to share any memorable photos or stories about Margaret . All tributes placed on and purchased through this memorial website will remain on in perpetuity for future generations.